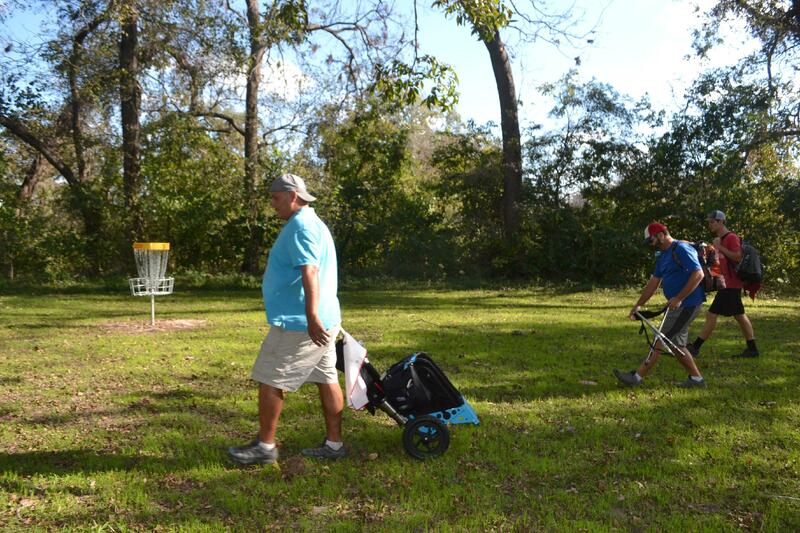 SEGUIN, Texas – The popularity of the city’s new disc golf course continues to rise – not just with locals, but with players across the region. Last week, a group of players met at the course for a mid-week mini-tournament. “One of the best courses around. The park itself is beautiful -trees, grass, it’s next to the river. When it rains it doesn’t get muddy like other courses. When it’s hot, the constant shade makes it very tolerable,” said Mike Herrera, disc golf player. On November 5th, the Starcke Park Disc Golf Course hosted its first tournament organized by Converse Disc Golf Association. “There ended up being 86 players and turned away many others that wanted to play but I could not fit them all in,” said Thomas Martin, Tournament organizer/Converse Disc Golf Association.